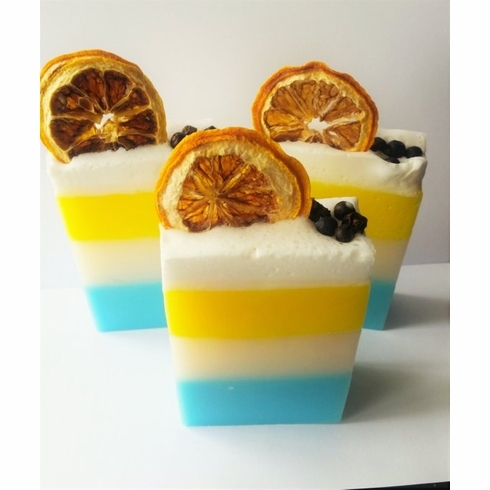 This bluberry lemon verbena soap is decorated with a dried lemon wedge and juniper berries. Made with sunflower oil, grape seed oil, and jojoba oil. Weighs approximately 5.5 ounces and comes beautifully packaged.